Way before Micheal Gove and the Academies Bill there was the Cocker Hill Academy. 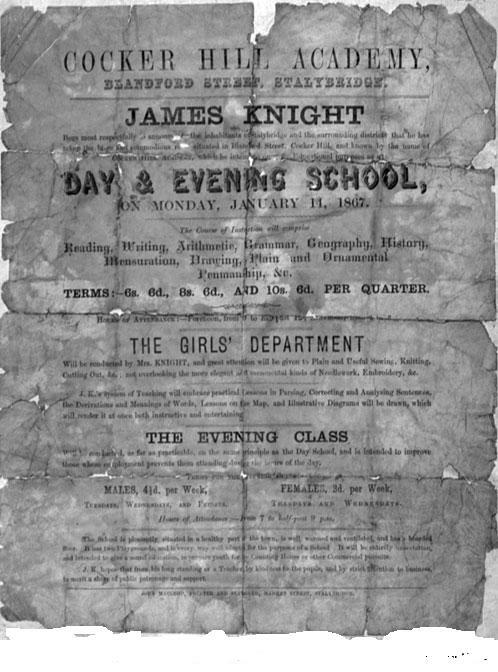 The Cocker Hill Academy was the only recorded school in Stalybridge back in the 1700’s. John Bradbury the botanist was educated at the Cocker Hill Academy by John Taylor. Taylor was a keen botanist himself and encouraged Bradbury’s interest. John Bradbury was a famous botanist; he didn’t live on Cocker Hill but was educated there by John Taylor, also a botonist, at the Cocker Hill Academy. John Bradury was born in 1768 and began his career in the cotton mills. In 1809 he was sent to America to explore and to survey the potential of the colonies to supply cotton. Returning to England in 1812, Bradbury spent five years writing Travels in the Interior of America in the years 1809, 1810 and 1811 which gave apparently thrilling accounts of his adventures and life amongst the Indians. I found an online copy of Travels in the Interior of America on google docs. Not read it yet though! Fed up with England he went back to America again. He was warmly welcomed back and he got a job as curator and superintendent of the botanical gardens of St Louis giving his family good prospects in a new home. In St Louis, Bradbury was often visited by Indian Chiefs whom he had met in the wild. Maybe this prompted his desire to revisit their haunts and in 1825 he undertook an expedition which proved to be his last. Whether he died through natural causes or by accident is unknown. His grave is in Amercia. 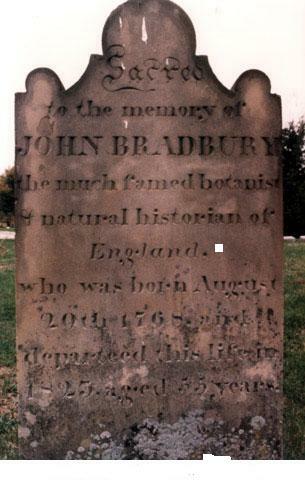 John Bradbury has a Blue Plaque to commemorate his life at the entrance to Stalybridge Country Park.